Advice needed about elective amputation! As the title says, I need some advice about elective amputation! A very dodgy knee became even worse after an accident at work shortly after recovering from surgery on the knee, I tried my best to recover using exercise and rest but alas I was in a lot of pain and so I decided to agree to total knee replacement. I awoke from the surgery and immediately started to try and mobilise the knee, I was determined to get my mobility back and after three days I was allowed home. It was quite obvious early on that I wasn’t going to get my mobility back and my pain was worse than ever, I was seen by the consultant and he dismissed my pain. I had hydrotherapy, physiotherapy, meds, more meds and even more meds and yet my pain levels were still sky high, what was worse that I was unable to mobilise using crutches and now I am a full time wheelchair user. I have two types of problem, the first is nerve pain and there is not a lot to help but the second is what I call a mechanical pain, my knee clonks and its a big old clonk. I can’t tell when it’s going to happen, it could be when transferring from the toilet to my wheelchair or just moving my leg to get comfortable, it can even happen with the slightest movement of my knee and what is very frustrating is that I can’t make it clonk and neither can the consultant when he examines the knee and so I’m not sure he actually believes me? Imagine that, a consultant not believing a patient! I have spoken with the consultant and also two other orthopaedic consultants at Southend hospital about amputation, I can see the horror in their faces and quite quickly they do the consultant thing and take control of the appointment and I leave feeling like I haven’t been heard. I have literally begged, I have even cried when I explain what it’s like to live like I do every minute of every day, I could see the nurse in the room getting upset and she understood but not the consultant. He told me that in the oath he took as a doctor, it says he will cause no harm and yet I believe that eating me as I am is causing harm! 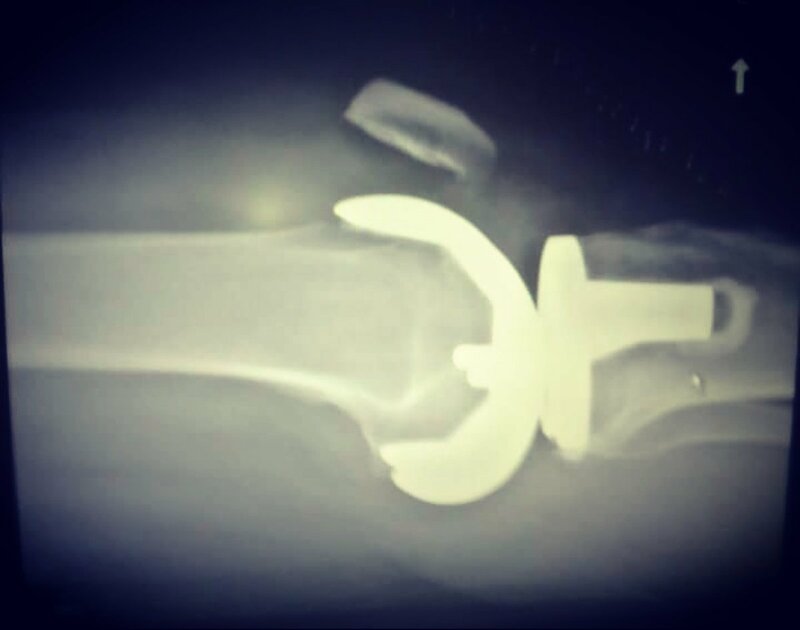 Its now six years post op and I’m due to see him next month, my pain management consultant finally understood at our last meeting and promised he would speak to the orthopaedic consultant. I am not going into this without understanding what amputation means, the last thing I want is to lose a leg but I can’t keep going like this and so I’m willing to make the sacrifice. I don’t even expect to walk again, that isn’t important, well it is but the main factor is losing that mechanical pain. I have watched two above the knee amputations, I have watched videos about peoples post op journey and I have watched and read everything I can, I have read about people who have said that the elective amputation was the best decision they have made and I just want the chance to fight. What I need to know is, what are my rights? Can I do anything to make him take me seriously and help me? I know this is three years ago now but did you ever get an amputation or further treatment? I’ve had CRPS since 2006. 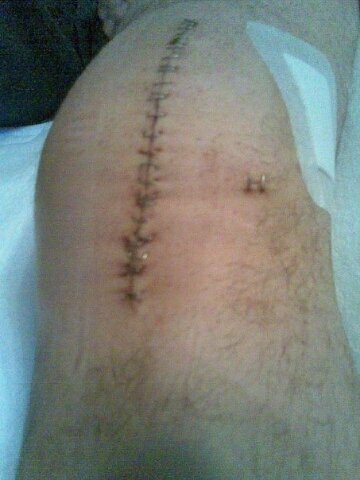 I woke up from left knee surgery with it. I live in Birmingham and in February 2016 I saw a surgeon in Blackpool with whom I discussed amputation. I saw him on a private basis. UnfieUnfortun he coukdnco offer me anything at the time but told me how to get the ball rolling and said I could go back to him anytime. All appointments since then gave been on the NHS. I’ve seen the surgeon again who is now willing to amputate my left leg above the knee. I”e also seen a prosthetics cobsultanc and clinical psychologist in Preston. All tgree consultants are now in agreement. My GP has just started the application to the CCG for funding so I can have surgery in the north west. Remember, as a patient, you have a right to choose your consultant! In the meantime, I also had appointments in Bath where I had assessments to go on their intensive two week rehab courae. If yourey no further forward, these are all available options for you. I hope yourey able to get a treatment you’re happy with and it works for you. Hi Laura, unfortunately no I didn’t get the amputation! I actually gave in, the battle impacted my mental health and so I had to admit defeat. The last things that happened were that they asked me to see a psychiatrist as they were concerned I was asking because of some other reason, she said that I was asking for the right reasons and said she agreed with me, however they then still said no! I haven’t seen anyone about it since and because of this leg my overall health has seriously declined. I am so glad you have found a doctor who has listened and hope it all goes well, please keep me updated. You can add me on social media (Zec Richardson) to let me know how it is going if you want. Hi I’ve had 2 amputations above the knee due to CRPS (I think u already know though). You must think about the pros and cons of having an amputation. There is a chance that the condition may spread yo other areas, there’s a possibility that your stump will be left with hypersensitivity which in turn may cause you distinct trouble in getting a prosthetic. Having an amputation doesn’t necessarily mean that the pain will go, you may end up in more pain as well as having phantom limb pain which can be awful. On the other side of it you may be able to get a prosthetic and learn to walk again, the condition may not spread and your phantom limb may be something you can deal with. If you do elect to have an amputation I would most certainly speak to the anaesthetist and ask to have an epidural before the op, during and after. This will give u a chance of the nerves not causing you trouble post op, the epidural may also stop the spreading, hypersensitivity etc. So it’s definitely something I would speak to them about. Hope this has helped. Take care and if u need to chat just let us know. Thanks Victoria, I will send you a message. Thank you, its frustrating isn’t, what the doctors forget is we know what is happening to our body and yet they treat everyone as if they are faking it. In 1996 I was admitted to hospital with chest pains, I was told it was pericarditis and I was eventually moved to cardiac care. Our hospital didn’t have a great chest unit back then and so a few days later I was rushed in an ambulance to the London chest hospital and we went lights and sirens the whole journey. The angiogram was clear and a couple of weeks later I was back at the hospital in my town, a consultant marched in one morning and said “your problem is above the neck not below” and left. So I had ECG changes, on examination they could hear it was pericarditis and admitted me to cardiac care and somehow I faked that? However there are also some damn good docs out there! Somewhere! Ha! Somewhere is the right question or answer…hmmmm. I’ve fired more docs than I have! My hubs says they are all “practicing medicine” and that’s exactly right. They don’t know much more than we do. We know our bodies, yet they know better? doubtful! I think we no best and need to start listening better! The voices in my head were screaming “run” right before I got wheeled into the operating room for my 2nd back surgery…if only I listened! I was mere seconds of jumping off of the stretcher and running…I actually had a doc in the ER (many,many years ago) tell me that it was impossible that I “felt” my heart flutter. The only way I would be able to was if my chest was cut open and someone was squeezing it….ummm, what? I just left! It was probably more of anxiety than a heart attack (obviously…I’m still here) but really? Did he actually say that? Did he get his license from a cracker jack box??? I still get what I call “butterflies” in my chest every now and again but screw it…I would rather not know some times…lol! I hope you can find help with your issue. I’m sure your on pain meds…I’ve been on them for 5 years…Nucynta…it’s almost a wonder drug. It seems to help with EVERY one of my pains not just the back…even my MS/fibromyasshole pain too! But I’m sure somewhere deep down it’s causing chaos in my body and I will be paying the price in a few years if I don’t get off of it. But if I stay in constant pain 24/7 instead of 15/7, I would go mad! Keep everyone posted as to how you are doing…good luck!